How fast are the results? How long is the effect? As your body ages, it generally slows down in the production of various enzymes and hormones which the body needs to keep looking younger and youthful. The skin is the first organ to show signs of aging as the loss of elastin, collagen and moisture mean that your skin becomes more prone to wrinkles, fine lines, age-related acne as well as developing pigmentation and suffering from sagginess. MyBotoxLA offers some of the best Microneedling Encino has to offer. To remedy these situations, a person usually had to resort to surgical means such as a face-lift to smoothen out their skin as well as get rid of the sagginess. Botox came as a game changer, introducing a non-invasive method into the beauty industry. Close on the heels of Botox, one can now find microneedling which makes it possible to get beautiful skin in a number of months. Since it is still relatively new in the market as compared to other procedures, it is understandable that not everyone has made use of it, but the benefits it can produce make it a must-have for anyone who is searching for a procedure which doesn’t involve the use of injections. 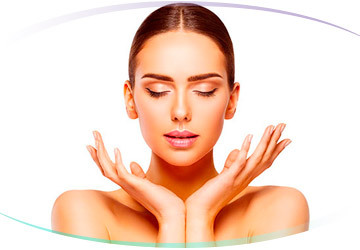 Microneedling or PRP Microneedling is a process through which the upper layer (epidermis) of the skin receives tiny, micro holes that pierce down to a depth of 2.5mm. In some cases, this depth can be deeper but it depends largely on what you’re targeting. The body reacts to these micro holes by signaling to your skin that it needs to repair itself. This kickstarts and boosts the production of more collagen and elastin in your skin and initiates the healing process. The excess elastin and collagen are great for your skin, helping not only to close the micro holes but also to smoothen out the texture as well as get rid of fine lines and wrinkles. Depending on the condition of your skin, these results might be major or might only be slightly noticeable. Microneedling is usually conducted by numbing the skin so that there is no discomfort from the needles which are being pierced into the skin. This means that process is completely non-invasive and has no discomfort associated with it. For people who are looking for a quick and painless process, micro needling is definitely worth trying out. Not Just for Aging Skin — Microneedling is actually perfect to be used for a large number of skin conditions. This means that you don’t need to have aging skin to see benefits from the use of microneedling. 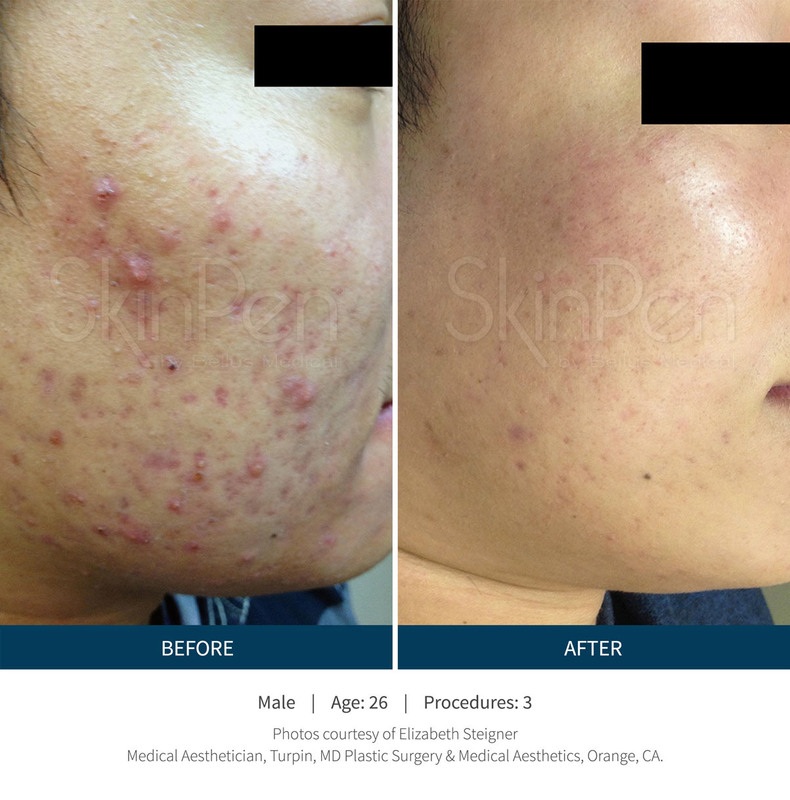 Someone with mild acne can also make use of microneedling, and the process has also given favorable reviews in helping to give fuller lips. Results Visible in Weeks – The amazing thing about PRP microneedling is that the results become visible in a few weeks. This means you don’t have to go through a large number of sessions to see the difference it is making to your face. Moreover, looking after your skin when it is healing is very easy and you can see the results with ease. Are Results Long-Lasting? – The most wonderful aspect about microneedling is the fact that the results you get from it can be long-lasting and all natural. You don’t get anything injected into your skin. Your skin gets better because you are able to trick your body into working overtime and boosting the production of collagen, elastin and more. Does It Works Well In Conjunction With Other Procedures? – With most cosmetic procedures, you have to ensure that you avoid any other procedure so as to avoid any chances of experiencing a harmful reaction. Luckily, PRP microneedling is a completely safe process which can be used in conjunction with other procedures. In some instances, our specialists might even recommend another treatment that you can try along with it in order to get the best results possible for your skin. MyBotoxLA is proud of the fact that the device we use for our microneedling services is a FDA Cleared device known as SkinPen®. This is the only Class II, FDA Cleared Microneedling device in the U.S. Not all spas use an FDA cleared device. Over time, medical advancements have introduced a variety of different, non-surgical procedures that produce amazing results. Among them, PRP microneedling has started to gain popularity due to the difference it can make to your skin. If you’re wondering how to go about it, the following are some questions, answered just for your benefit. Microneedling is the process of using a device, specifically for skin needling. This can either be an electrically powered device or a simple one. It contains fine needles (usually 12) that are used to break down old scar tissues and promote natural growth of skin cells as well as stimulate the production of collagen. Microneedling works by making micro holes that penetrate to a depth of 2.5mm in the skin. These act as signals to your body, which responds by boosting the production of collagen as well as elastin in order to heal these micro holes. This, in turn, makes your skin look healthier and fuller. In addition, with microneedling, your skin will also get rid of wrinkles, fine lines, and even scars. Is there a risk of infection with PRP Microneedling? We take great pride in conducting all treatments using sterile equipment and conducting the procedure in a clean environment. There are no chances of infection occurring in your skin because of microneedling. However, it is a good idea to avoid touching your skin and keeping it clean after a PRP microneedling session. Which skin conditions does it help to improve? In some cases, microneedling can be prescribed along with other non-invasive cosmetic procedures to give you the maximum results. For more information, please consult our medical spa regarding this aspect. What skin types do not benefit from PRP Microneedling? It’s always a good idea to get a consultation from our medical spa to determine whether your skin is suited for microneedling. This will give you a better idea regarding what kind of results will be achievable on your skin as well. Microneedling is conducted with the help of a numbing cream in order to minimize any pain caused by the process. However, sensitive areas such as the forehead and the upper lip area might still experience some sensations caused by microneedling. Luckily, any discomfort experienced because of it will be minimal and will not be unbearable. If you are experiencing an unusual amount of pain, please inform our physician as it is not normal and should not be happening. How much recovery time is needed? After each microneedling session, your skin needs a little time to recover. Usually, your skin requires a minimum of 24 or 48 hours to return back to normal. You can begin wearing makeup after this time period. However, recovery time is also impacted by how deep the needle has penetrated. Needles that have penetrated deeper will cause slight peeling of the upper layer of the epidermis. However, even then, you can start wearing sunscreen and makeup after 24 hours. When can I begin to see results? After a session, your skin will begin to heal itself in 24 hours but you will begin to see results in a week. Your treatment sessions will be planned around this aspect to ensure that your skin has a chance to heal and the results become visible. Consult with our medical spa for more details as results and healing time can vary based on the kind of skin you have. Due to the vast number of skin conditions that microneedling can help with, the total number of treatments you need can vary. The number will also depend upon what kind of results you want. For example, the number of sessions for getting rid of fine lines might differ from the number of sessions needed to get rid of scar tissue. Please consult with our skin specialists for more information regarding this. How should my skin look after a Microneedling session? Aftercare of your skin is extremely important in order to ensure that the results you get last with ease. On the first day of the treatment, our skin specialists will apply a barrier repairing cream topped with sunscreen that will soothe any inflammation. It is advisable to keep using this cream to relieve any discomfort you might be experiencing. After the first day, you can resume your usual skin care routine if your skin is not feeling sensitive. Do not skip using sunscreen. Are there any side effects to Micrneedling? 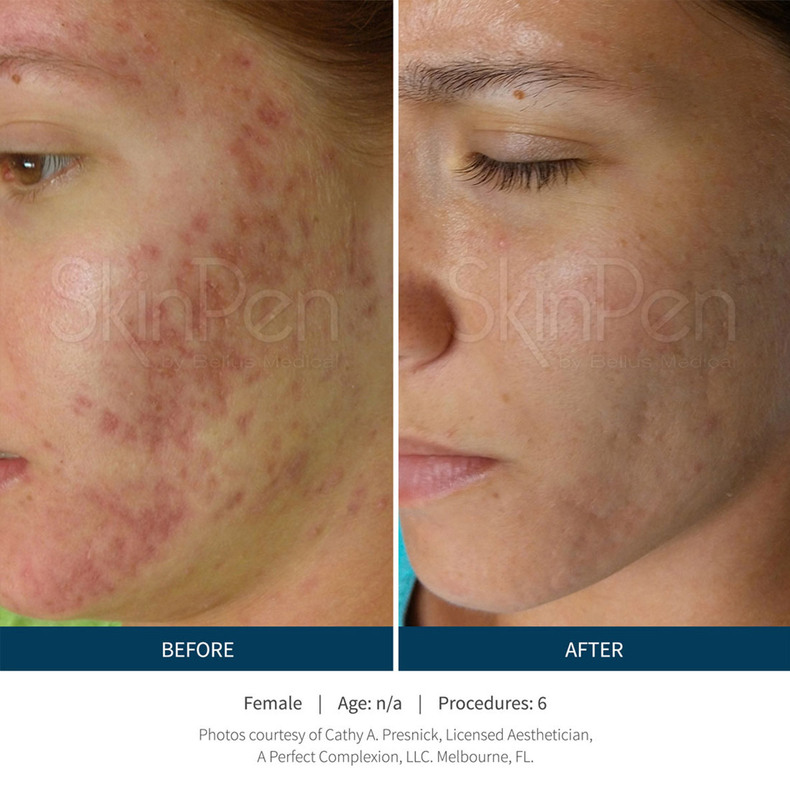 Microneedling is completely safe and does not have side effects associated with its use. Redness, swelling, and inflammation are common but if you are experiencing other skin issues after microneedling, please get in touch with us immediately. The cost for microneedling in Sherman Oaks can vary based on the number of treatments you require as well as your wants and needs. For a definite estimate, please get in touch with us for a consultation with our skin specialists. MyBotoxLA Medical Spa welcomes everyone from Los Angeles and surrounding areas. Accepting All Major Credit Cards, Sorry No Checks. MyBotoxLA © 2011-2019. All Rights Reserved.